Any news of improvements to America’s creaky internet infrastructure is usually good news, but don’t get too excited about Comcast’s new 2 Gigabit-per-second internet service. For the time being, not many people are actually going to be able to access the fiber network. Comcast’s so-called “Gigabit Pro” is exactly what it sounds like: gigabit speed internet. It’s actually the same gigabit speeds the company’s been offering business customers for five years, except the new service will send fiber directly to people’s homes. In an interview, Comcast’s Steven Restivo told me that the fiber network would eventually reach homes in both urban and rural areas across the United States. Since existing gigabit offerings like Google Fiber focus on cities, this sounds like progress. But here’s where the caveats come into play. First of all, Gigabit Pro is rolling out slowly, starting with a select number of homes in the Atlanta metropolitan area that also happen to be close to Comcast’s existing fiber optic infrastructure, the same one that’s been serving business for years. 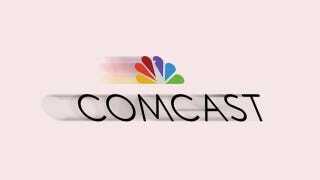 Comcast promises the service will be available to 1.5 million customers next month, but that doesn’t mean that everybody with access will be willing or able to pay for the service. This is the second caveat. Comcast very clearly states in the press release that customers’ homes will need to be “within close proximity of Comcast’s fiber network” to get Gigabit Pro service, which would “require an installation of professional-grade equipment.” Restivo explained that this means installing gigabit-read hardware inside and outside of the home. It also involves a layer new fiber to cover the last mile of infrastructure from the Comcast plant to that new professional-grade equipment. Add that setup cost to the cost of the service itself and you’re looking at a decent chunk of change. The fastest plan Comcast currently offers in Atlanta— something called “Blast!®”—costs $80 a month and offers download speeds “up to 105 Mbps.” The new Gigabit Pro plans will offer speeds that are nearly 20 times as fast as that. So will it cost $1,600 a month? Probably not, but it will be most expensive. We won’t know exactly how expensive until early May when Comcast reveals the pricing structure. Meanwhile, about an hour and a half north of Atlanta, the city of Chattanooga, Tennessee offers its citizens gigabit speeds for just $70 a month. Google Fiber is about the same, though the municipal broadband speeds in Chattanooga are even faster. And it’s growing. So sit tight Braves fans. Faster internet is on its way—if you live in the right place and have the cash. Based on the teeth-grating grift that was the Verizon FiOS rollout, everybody else ought to be very patient and skeptical about Comcast spreading its new Gigabit Pro service across the country.